Weekends enable me to spend more time with the Kids thankfully. My daughter Jade and I came up with this idea for today’s photo. Just having fun. Great image that makes me laugh. 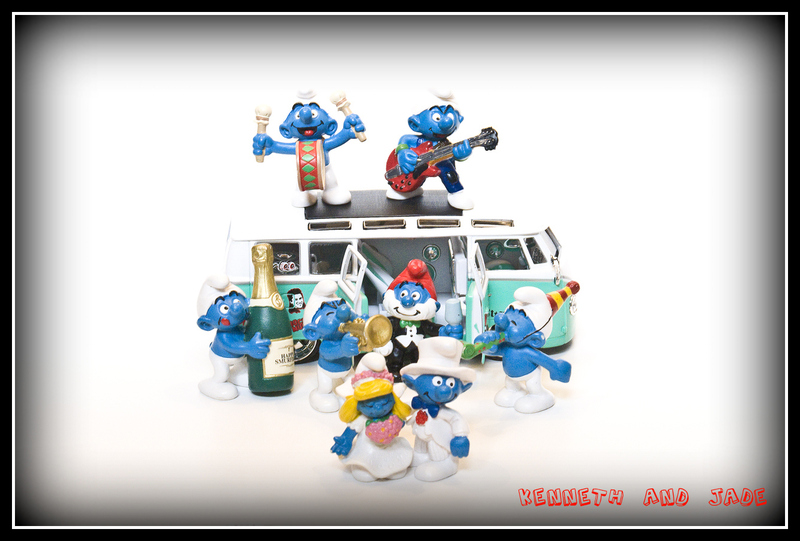 When I was much much younger, I LOVED watching the Smurfs every Saturday morning. Is the Smurf wearing the kilt in there? I don’t see him. Unfortunately not. He didn’t get his visa in time.